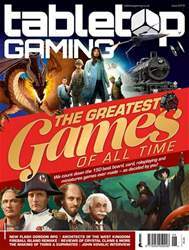 In a special bumper-sized celebration of the Greatest Games of All Time, we count down the 150 best board, card, miniatures and roleplaying games ever made – as decided by you! As well as running through the rankings, we get famous fans of some of the biggest games to tell us how they fell in love with the tabletop titans and answer some of the burning questions about what’s better. After completing his acclaimed North Sea trilogy of Viking games, designer Shem Phillips talks to us about his next series set in the West Kingdom, beginning with this year’s Architects of the West Kingdom. In our latest How We Made, one of the tabletop’s most prolific creators, Reiner Knizia, takes us on a trip back to the game that made his name an icon, as we go behind-the-scenes of civilisation-building masterpiece Tigris & Euphrates. Hot from raising millions on Kickstarter, the creators of the new Fireball Island tell us about resurrecting the ‘80s classic with their remastered and expanded version of the marble-rolling favourite. Listen up! Gamers and musicians are bringing cinematic soundtracks and atmospheric sound effects to board games – they tell us how you can enhance your gaming by pressing play. Flash Gordon is back in a gloriously adventurous ah-ahhhhh-PG that pays tribute to the sci-fi hero, from his pulp origins in comic strips to the cult movie soundtracked by Queen. Writer Scott Woodard joins us to save the universe. He’s the man behind the unmistakeable artwork of Munchkin, Cash ‘n’ Guns and more. In his own words, John Kovalic explains how the Illuminati, OJ Simpson and Watchmen turned his cartoons into an icon of the tabletop. Our Star Wars: Legion painting guide continues as we join the Rebel Alliance and bring the allies of Luke, Leia and Han to life. 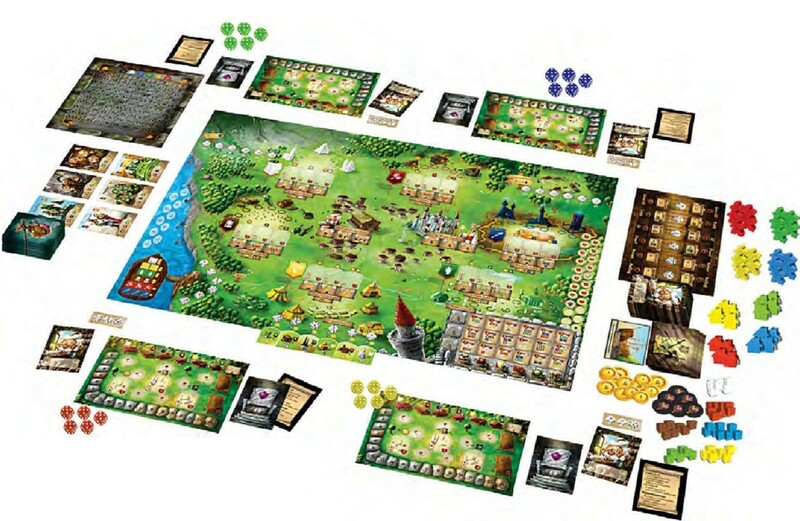 Plus much, much more, including reviews of: Crystal Clans, Lords of Hellas, Rise to Nobility, Feudum, PetrichorGet, theMacGuffin, Blood Red Skies + more!